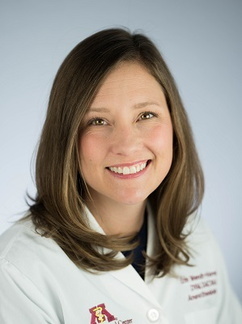 Erin Wendt-Hornickle is an Assistant Professor of Anesthesiology and Pain Medicine. She graduated from the University of Wisconsin-School of Veterinary Medicine and completed an internship at Washington State University-College of Veterinary Medicine. She returned to her alma mater, UW, for her Anesthesia and Analgesia residency. During this time, she also completed the Medical Acupuncture training program and began practicing in Veterinary Medical Acupuncture. She joined the University of Minnesota’s Veterinary Clinical Sciences department in 2014. She is currently the Chief of Anesthesiology and Pain Medicine and is the Associate Medical Director of Ancillary Services for the Veterinary Medical Center. Her clinical interests include acute and chronic pain management and the anesthetic management of critical patients.